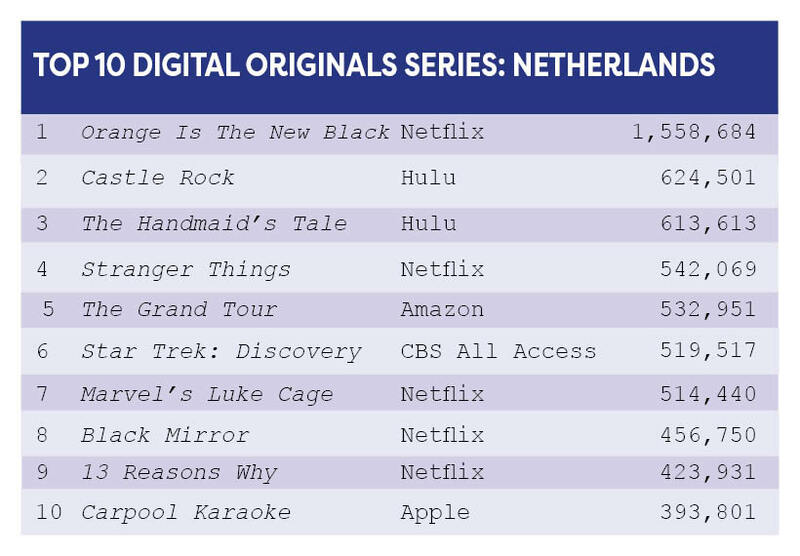 Orange Is the New Black’s (OITNB) latest season is making waves in Benelux, since its launch on Netflix in late July. 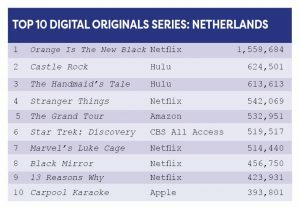 For the biggest nation in the bloc,The Netherlands, the Jenji Kohan-produced series was most demanded across its digital original series list and overall TV shows list in the past week. OITNB received nearly three times more demand expressions than Castle Rock in the digitals list. The prison series received nearly 1.6 million demand expressions, where Hulu’s Castle Rock gained 624,501. Third on the list is Castle Rock’s Hulu partner The Handmaid’s Tale, which received 613,613 demand expressions. The digital list is comprised of a range of streamers and also includes titles such as Amazon’s The Grand Tour, in fifth place, CBS All Access’ Star Trek: Discovery in sixth place and Apple’s Carpool Karaoke in tenth place. OITNB is followed closely in demand expressions by America’s Got Talent in the overalls list. 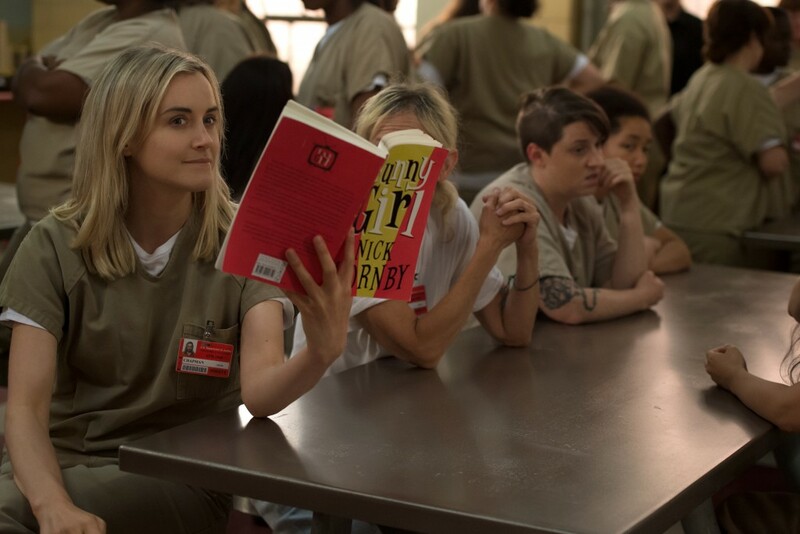 It received 1.1 million demand expressions compared to OITNB’s 1.6 million. CW’s The 100 and Game of Thrones arrived closely in third and fourth place both gaining just over 880,000 demand expressions. 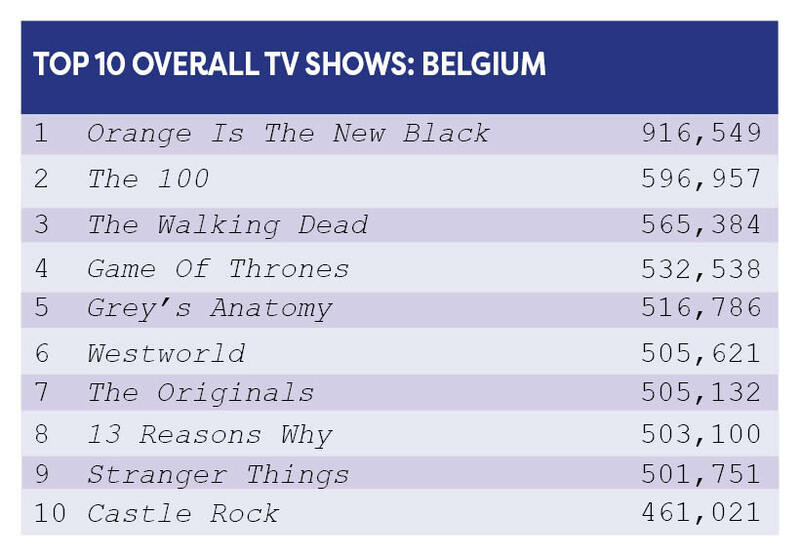 Orange Is the New Black also topped both lists for Belgium. Its digitals list features 13 Reasons Why in its second spot, Stranger Things in the third and the horror series Castle Rock in fourth. Spanish language titles Narcos and Money Heist (La Casa De Papel) also make the top list in sixth and seventh place. Returning series Sense8, Black Mirror and Marvel’s Luke Cage finish off the list in eighth, ninth and tenth place. 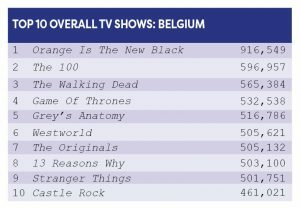 In the overalls list, The 100 makes an appearance in second place and HBO titles Game of Thrones and Westworld take fourth and sixth place. Recurring favourites 13 Reasons Why, Stranger Things and Castle Rock appear at the bottom of the list. Breaking the mould is Benelux’s smallest nation Luxembourg. Topping the nation’s lists are The Handmaid’s Tale for digitals and The Bold and The Beautiful for the overalls. German titles were highly demanded in the overalls list with Berlin – Tag & Nacht, The Voice of Germany and Gute Zeiten, Schlechte Zeiten all taking a place in the top ten list. Unlikely titles such as Timeless, Mom and the Blacklist also made it on the list in seventh, eighth and tenth place. 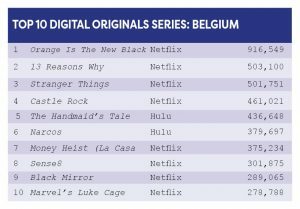 OITNB also gained a high amount of demand expressions in Luxembourg’s digitals list. It arrived second on the list and was followed by Castle Rock. 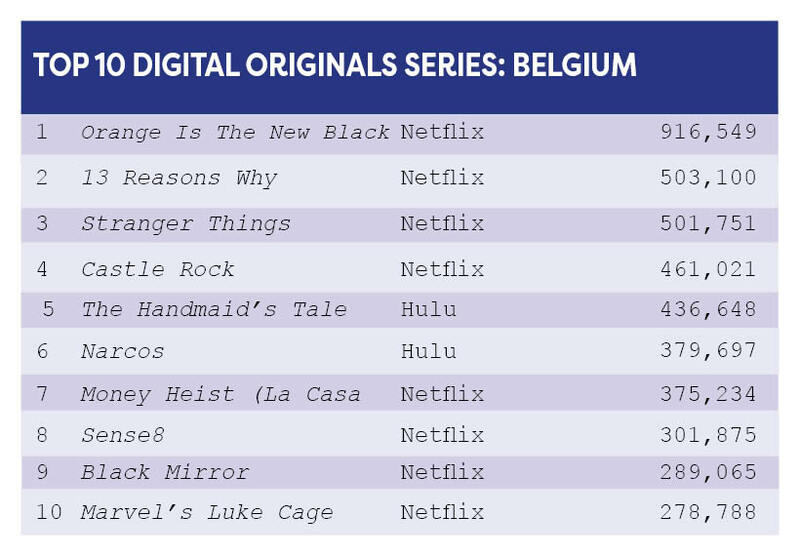 Titles that have been dormant for a few months including House of Cards, Black Mirror and Altered Carbon also appeared on the digital list, appearing in fourth, fifth, and ninth place.